Some obesrvers of the economy are pointing to 2018 as the final period in a long string of sentences touting several happy years of buyer demand and sales excitement for the housing industry. Although residential real estate should continue along a mostly positive line for the rest of the year, rising prices and interest rates coupled with salary stagnation and a generational trend toward home purchase delay or even disinterest could create an environment of declining sales. New listings in the Chattanooga region increased 0.1 percent to 1,051 and were up 2.7 percent year-to-date. Pending sales were up 4.4 percent to 806 and were up 3 percent year-to-date. Inventory levels shrank 12.2 percent to 2,917 units. Prices continued to gain traction. The median sales price increased 3.9 percent to $187,000. The average price increased 4.3 percent to $224,172. Days on market was down 25 percent to 42 days. Sellers were encouraged as months supply of inventory was down 14.6 percent to 3.5 months. Tracking reputable news sources for housing market predictions makes good sense, as does observing trends based on meaningful statistics. By the numbers, we continue to see pockets of unprecedented price heights combined with low days on market and an economic backdrop conducive to consistent demand. Hurricanes Florence and Michael reminded us of how quickly a situation can change. Rather than dwelling on predictions of a somber future, it’s worth the effort to manage the fundamentals that will lead to an ongoing display of healthy balance. Greater Chattanooga Realtors is “The Voice for Real Estate in Greater Chattanooga.” A regional organization with more than 2,000 members, Greater Chattanooga Realtors is one of some 1,300 local boards and associations of Realtors nationwide that comprise the National Association of Realtors. 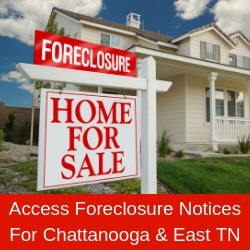 Greater Chattanooga Realtors services Hamilton and Sequatchie counties in southeast Tennessee and Catoosa, Dade and Walker counties in northwest Georgia. More information: www.gcar.net; 423 698-8001.